Female Long Dress Mod Replaces the female body with a long dress version. 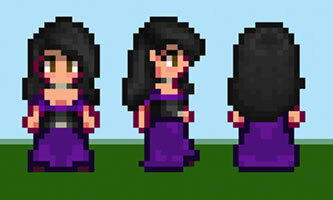 The body is based on a previous mod and includes the adjusted body and animation.See it in below pictures. Back-up your old farmer_base.xnb before replacing it.